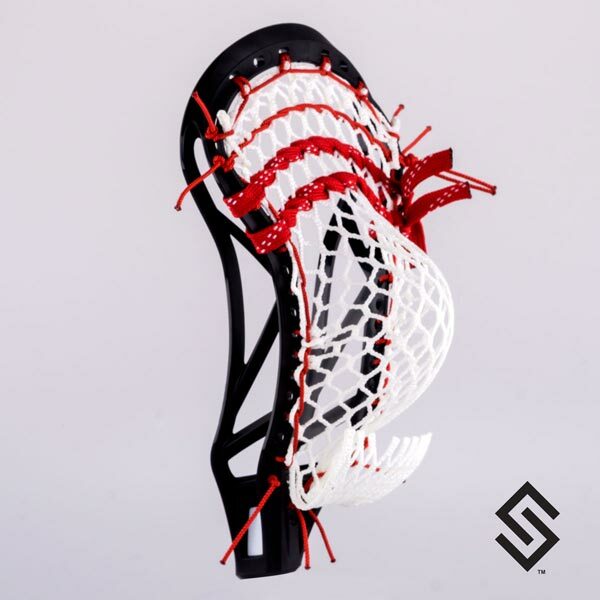 The StylinStrings T-Bird Mesh Lacrosse Pocket is an original design that meets all NCAA and NFHS pocket standards. This pocket is legal for all levels of play. Featuring the 1UP hitch, this pocket will give you the hold and channeling that players have grown accustomed to. You will forget all about your u shooting strings and get back to playing the game! Choose mesh in a variety of colors and Brands. Quarter inch string that attaches mesh to the top lip of the head. Braided string that attaches mesh to sidewall in such a way that it creates a channel in the pocket. Straight weaved hockey lace used to adjust the whip and the release of the ball. Eighth inch string that attaches mesh to the top lip of the head. Quarter inch string the closes off the bottom of the mesh, assists in creating a channel, and creates a resting spot for the ball.